How does a superhero actually become ‘super’? Green Arrow cares about one thing above all else, and that is those closest to him: his family (of which almost none are related). He adopts a young boy named Roy Harper, a troubled youth who, depending on the continuity, he finds trying to steal to get by. He takes him under his wing and raises him, training him to fight crime just like him. Much later on, he rescues a girl by the name of Mia Dearden from a life of prostitution and drug use, taking her in and giving her a home, a school, and a job to help her get back on her feet. The above-listed family and more are so important to him, that he has and will die for them regardless of how they feel about him at the time, giving everything up so that they might be happy, or at least, alive. Unlike Batman, who is calm and collected, or Superman, who often acts like a pristine, polished medal of what humanity strives to be, Oliver Queen, the Green Arrow, is a man of passion and love. He does what he believes is right, and is extremely vocal about what he thinks is wrong, the only true social justice warrior that I think I’ve ever seen that hasn’t made me cringe to read the acronym “SJW”. He is a force of nature when you get him mad, and an absolute romantic fool when he really cares about someone. He shows his full range of emotions right at surface level, rather than hiding behind his mask. Now, I don’t mean that he can’t fly, which he can’t, but that he cares about every single citizen living in his city. He truly, often aggressively, fights for the little guys, not against some monstrous alien invasion, or mutated crocodile, but against injustice on the streets at the very bottom levels of society. He has no powers, and before he was marooned on an island and forced to learn to hunt with a bow and arrow to survive, he had nothing he was particularly skilled in. He wasn’t an artist with a bow, he just practiced and trained really hard to get where he is, and I think that’s far more relatable and admirable than the heroes who are all prodigies in their field. Now, I’m talking from a source material perspective here, not the interpretation in the television series, Arrow. He constantly cracks jokes, usually during tense confrontations, and is always messing around while others are trying to be serious. He loves to make dad jokes all the time, and has created ridiculous trick arrows in the past to throw people off, such as the boxing glove arrow, which he continually roasts himself for creating. His wise-cracks might get on his family and friends’ nerves, but that doesn’t slow him down at all. He is so famous for making chili, that in one comic, they provide a recipe at the end for readers to try and make at home. 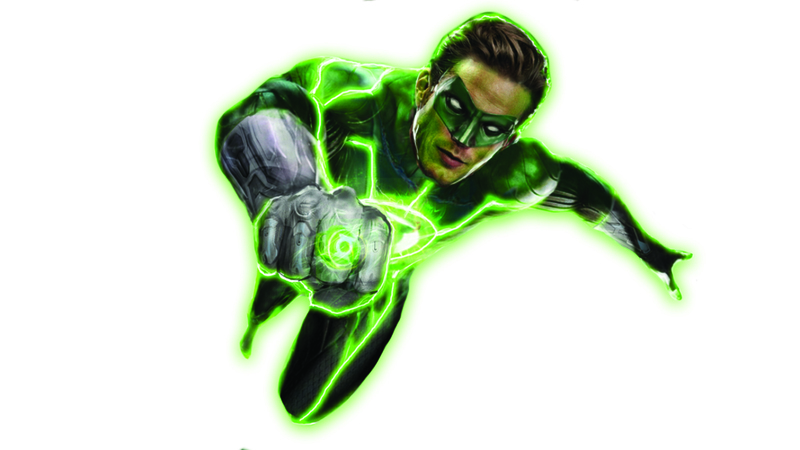 He often has chili on Sundays with his family, inviting over his best friend, practically brother, Hal Jordan, or Green Lantern. The friendship that the two of them share is among the strongest in all of comics, at least as far as I have read, and it just makes him feel even more like an average guy. This allows the reader to relate so much stronger to him as a person, not just some paragon of virtue and justice. If you enjoyed these opinions and would want to consider reading Green Arrow, look up Green Arrow: Quiver, and start there. If you’re mad like me, start way back at the beginning with Jack Kirby’s run. Thanks for reading and try not to fail this city. An Emergency? I think not.